For seven Bartlett High School students, summer break this year provided more than the chance to rest and recharge. The students reviewed municipal construction plans, helped foster economic development, and even investigated non-permitted chickens, all as part of a new internship program. 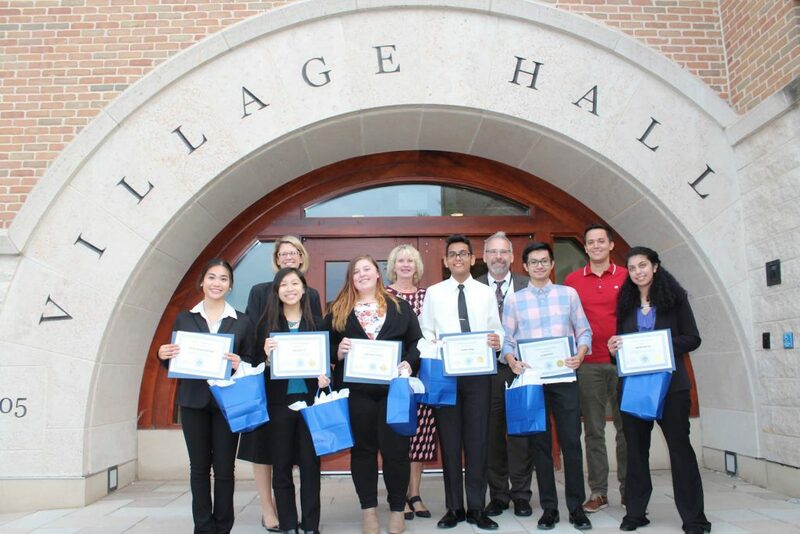 The School District U-46 students completed 40-hour internships this summer with the Village of Bartlett as part of a new program created by ACE — the Alignment Collaborative for Education — an organization of business and community leaders who work together to support the District’s goals and priorities. Key among those goals is to ensure that District schools are teaching the skills students will need to succeed in college and the workforce. The Village of Bartlett agreed to be the first ACE member to offer formal internships for U-46 students, and eventually chose seven BHS students to participate. The BHS interns will be recognized during the Bartlett Village Board meeting on Tuesday, Aug. 21, which starts at 7 p.m. at Village Hall, 228 S. Main St. The internships for students Meher Mirza and Sareena Shah centered on engineering. Patricia Marsigan and Britney Yu worked with the village’s Geographic Information System, utilizing software that analyzes data through spatial relationship analysis and mapping technology. Students Azam Khan, Emily Hettinger and Ishan Desai rotated among several village departments. Joseph Dienberg, who is working as a Bartlett administrative intern while he works toward a Master’s degree, supervised the Bartlett students, and he came away highly impressed by their knowledge and work ethic. “The students did very well in their internships. We’ve been talking about how bright all of them were,” Dienberg said. The students worked on several projects, he said. They helped create a welcome packet in both hard copy and digital format that will be used to familiarize new Bartlett residents. The students also helped update the village’s code enforcement software. They used their editing skills to help produce segments for a village video program that spotlights local businesses. Mirza, who is studying at the BHS Science, Engineering and Technology Academy, spent her internship in the village’s public works department. The prospective class of 2019 graduate said she is considering a career in engineering, so it was a good fit. Meher said she got to review the same building plans as the village engineers, and then had the chance to shadow them in the field. The broad scope of duties handled by the village’s public works department was eye-opening, she said; Meher went out with Bartlett employees to document a situation where a resident was reportedly keeping chickens on their property, but had not sought village approval to do so. Intern Britney Yu said she is considering studying computer science in college, so working with the village’s GIS mapping system was right up her alley. It had some ties to the computer-aided design work she has done in her BHS class work. She spent some of her time outlining and making data points that will help Bartlett complete a major road repaving project. Britney also received helpful career tips from village employees. “They helped us with interviewing and resumes tips, which was really great,” Britney said. Dienberg said the village is producing a package of guidelines and helpful tips that will be available to other ACE members, as ACE expands the internship program to other local businesses and units of government. ELGIN – School District U-46 will showcase curriculum and career pathways for U-46 students at the annual expo on Wednesday, Sept. 12, but for the first time, eighth grade students will attend with teachers as part of their school day. As in recent years, the Alignment Collaborative for Education (ACE) is partnering with U-46 to organize the event. 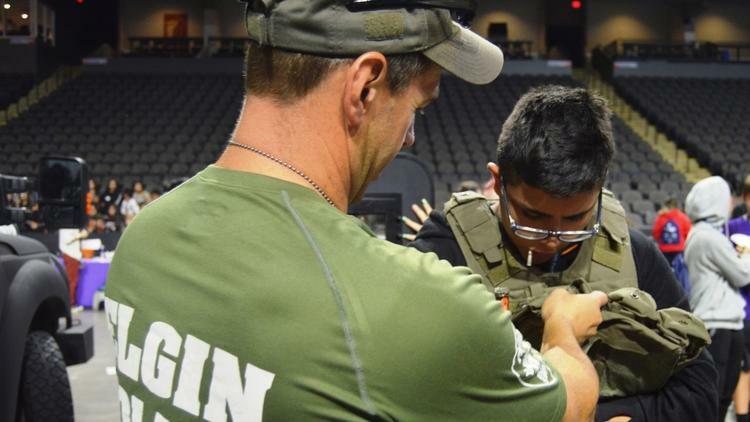 But to accommodate the large number of students being transported by U-46 to the free weekday event, it is being held in a new location, the Sears Centre in Hoffman Estates. 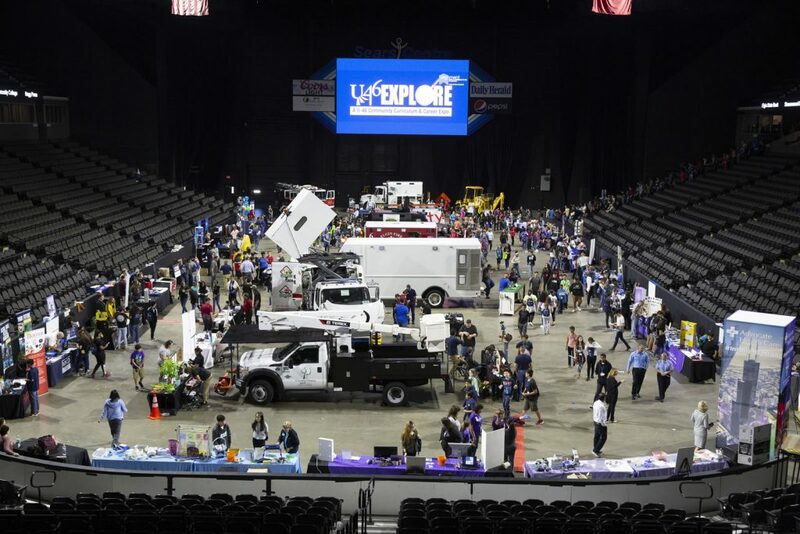 In previous years, Explore was offered on a Saturday at Elgin Community College, and in most cases, parents were responsible for bringing their students to the venue. The Citizens’ Advisory Council helped the District launch the first expo three years ago. 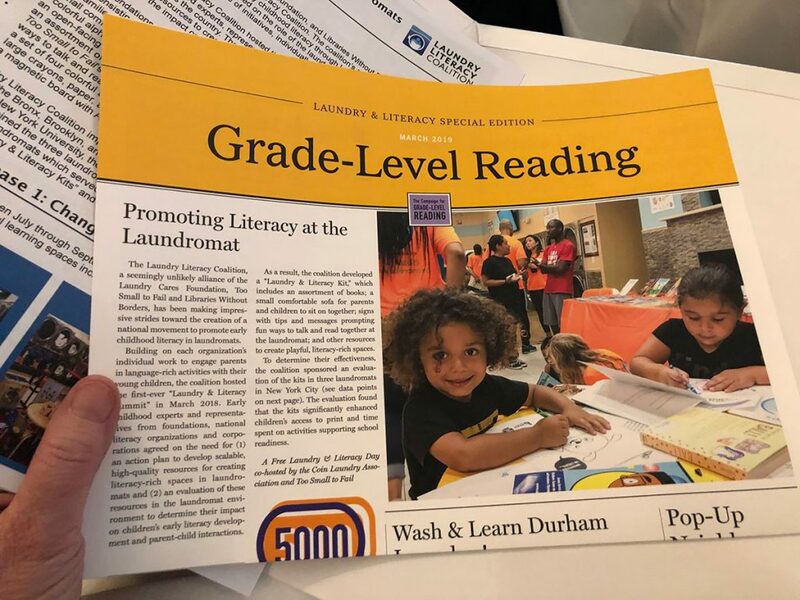 The Alignment Collaborative for Education, a non-profit local organization that brings together community resources and initiatives to support District priorities, has since helped expand the expo in the past three years. Nearly 3,000 eighth grade students from all eight U-46 middle schools are expected to attend Explore 2018 next month. U-46 buses will be used to transport the students to the event. Explore 2018 supports the District’s ongoing efforts to improve college and career readiness. The first aspiration outlined in the District’s Strategic Plan focuses on student achievement and educating the whole student by providing an enriched, high-quality experience that empowers graduates to be competitive members of the global society. Another part of that effort is the adoption of Naviance, a web-based college and career readiness platform that helps students explore their strengths and interests. U-46 is putting Naviance into use at middle and high schools for the 2018-19 school year. Before Explore 2018, guidance counselors will be visiting eighth grade classrooms, helping students use the Naviance tool to determine the “career cluster” they want to focus on at the event. Students and parents will be provided ahead of time with tips about how they can discuss the student’s career interests at home, as well as an expo map so that students can plan their route. Once at Explore 2018, U-46 faculty and staff will be present to explain core classes, electives, and popular course sequences that are based on students’ career interests, such as courses in automotive, welding, healthcare science, and manufacturing, as well as additional college and career preparatory curriculum. Exhibitors will be provided with suggestions for how to best interact with students. About 85 local business and industry partners will lead students in discussions and hands-on demonstrations, such as knot-tying exercises and climbing gear students can try on from Davey Tree; an interactive baby mannequin and other medical equipment from Advocate Sherman Hospital; a structure-building exercise from HLR Engineering; and an exercise in DNA fingerprinting to highlight STEM options at Elgin Community College. Students will also have the opportunity to learn more about public safety careers from the Elgin Police Department, who will bring a SWAT truck, the Elgin Fire Department, and the Kane County Sheriff’s Office. To see highlights from last year’s event, please visit: Explore 2017. School District U-46 serves families in 11 communities: Bartlett, Elgin, South Elgin, Hanover Park, South Elgin, Streamwood and Wayne, as well as portions of Carol Stream, Hoffman Estates, St. Charles, Schaumburg, and West Chicago. In total, the District encompasses 90 square miles within the Fox River Valley, approximately 45 minutes west of downtown Chicago, and includes communities within Cook, DuPage and Kane counties. More than 39,000 pre-K through twelfth graders attend the 57 District schools and programs. To learn more, visit the U-46 website, or like us on Facebook and follow us on Twitter. State data that revealed three-fourths of kindergarten students in Illinois — 90 percent in School District U46 — were not ready for school in fall 2017 has motivated local early childhood educators to consider unorthodox means to reach children who need help. The key is reaching those families who may not know how to access pre-kindergarten programs or can’t afford them. And the solution could be as close as the neighborhood laundromat, grocery store or health clinic. ELGIN – School District U-46 will give national, state, and local leaders a first-hand look Monday, Aug. 27 at how the District prepares its students for the working world. State Superintendent of Education Dr. Tony Smith and U.S. Rep. Raja Krishnamoorthi will visit the District’s nationally-recognized Career and Technical Education (CTE) programs at Elgin and South Elgin high schools. 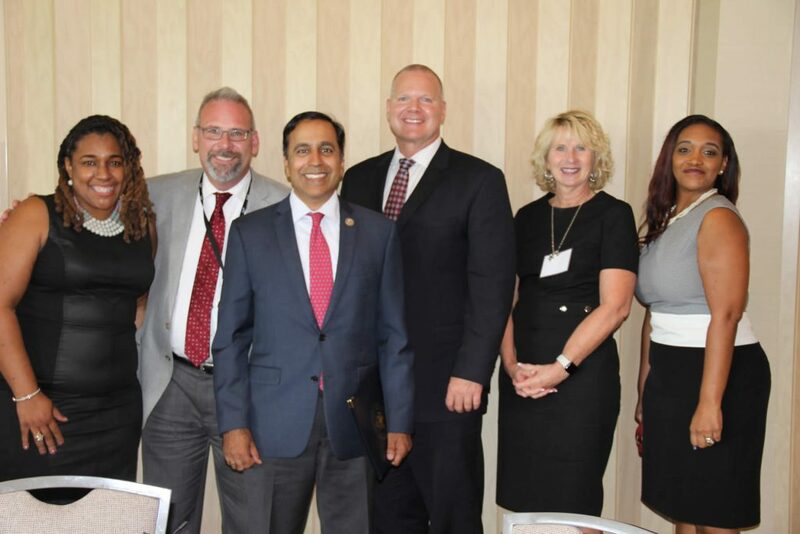 Rep. Krishnamoorthi, a Democrat who represents a district that includes the west and northwest suburbs of Chicago, and Rep. Glenn ‘GT’ Thompson, a Republican from Pennsylvania, co-sponsored the bipartisan Strengthening Career and Technical Education for the 21st Century Act which was signed into law in July. The bill reauthorizes and modernizes the American career, technical, and vocational education system for the first time since 2006. Among many important changes to skills-based education and training nationwide, this legislation increases funding for the Carl D. Perkins Career and Technical Education Act by up to $1.3 billion annually, providing high school and post-secondary students with on-the-job training in fields such as cybersecurity, advanced manufacturing, and healthcare. It also requires educators to work with local businesses to ensure middle school, high school, and post-secondary courses prepare students for in-demand jobs in their community. Additionally, state laws such as Illinois’ Postsecondary and Workforce Readiness Act place a greater emphasis on preparing students for the workforce. The State of Illinois has also set a goal of ensuring that 60 percent of all adults have a college or career credential by the year 2025. Monday’s program will begin when school buses leave Villa Olivia in Bartlett at 11:15 a.m. to tour the CTE programs at Elgin High School and South Elgin High School. Guests will convene back at Villa Olivia for lunch, which will end at 1 p.m. Dr. Andrea Messing-Mathie, Deputy Director of Education Systems Center at Northern Illinois University, will moderate a lunchtime panel discussion featuring Rep. Krishnamoorthi, Dr. Smith, U-46 CEO Tony Sanders, U-46 Director of Educational Pathways Kinasha Brown, and Alignment Collaborative for Education Executive Director Nancy Coleman. Approximately 50 participants are expected to take part in Monday’s Career and Technical Education Program tours, and it follows a similar tour in the spring of 2016 for community leaders. Since then, more of the District’s programs have met the criteria for national accreditation, and students from a variety of programs have continued to excel in state and national competitions that test their skills. Elgin High School will welcome guests to its culinary arts, welding, automotive, and healthcare services programs, while South Elgin High School will showcase its automotive, precision manufacturing, and early childhood programs. EHS Maroons enrolled in the culinary arts program regularly represent Illinois in national cooking competitions. Meanwhile, more than 97 percent of students in the EHS healthcare program passed their certified nursing assistant exam the first time. Visitors will also see Elgin High School’s newly renovated $1.7 million welding lab that opened in February. Also earlier this year, the welding program earned accreditation from the American Welding Society (AWS), certifying the school’s lab as an Accredited Testing Facility (ATF). At both Elgin High School and South Elgin High School, visitors will see the schools’ automotive programs, led by instructors certified by the National Automotive Technicians Education Foundation (NATEF). SEHS automotive teams have represented Illinois and ranked in the top 10 among all states in national competitions. Storm students are currently working to re-build a 1937 Chevy Pickup to display at the 2018 Specialty Equipment Market Association (SEMA) Show while EHS students have restored a 1967 Dodge Monaco and are currently working on a modified Chevrolet K-5 Blazer. Both programs earned NATEF accreditation in 2016. At South Elgin High School, students in its precision manufacturing program can earn college credit and also earn certification through the National Institute for Metalworking Skills (NIMS). That group’s rigorous, comprehensive accreditation program represents an important seal of approval within the manufacturing industry. U-46 earned District-wide accreditation of its precision manufacturing program through NIMS in 2015. Precision manufacturing is also offered to students at Streamwood High School. Tour participants will learn that U-46 students can earn national certification in various disciplines – proof that students have acquired relevant skills that benefit prospective employers. In addition to certification, many students can earn credits that can be applied at college or post-secondary school training. WHAT: Tour of Career and Technical Education Programs at two of the District’s five comprehensive high schools.